14 day walking & creativity tour through the spectacular Tavan Bogd National Park in northwest Mongolia. 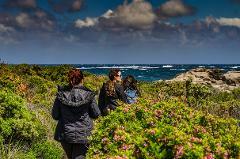 Short, circular walk along one of the most spectacular sections of the cape to Cape. Over 4 days & 3 nights you will be fully immersed in nature as we walk through some of the most stunning sections the track has to offer. Immerse yourself in the beauty of this world renown West Australian coastal track under the guidance of our experienced & creative guides - you can walk the whole length of the 135 km of this epic track in 8 days of hiking heaven. 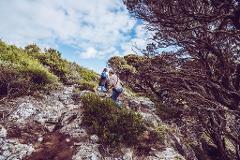 Discover a magical section of the Cape to Cape track - pristine wild beaches to the magnificent Karri forest. Immerse yourself in the magical world of wildflowers during this unique, 5-day walking experience in WA's spectacular southwest region.